Treating mold is for the professionals. It can have serious health consequences. 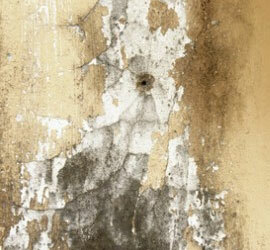 Here are the top five facts about mold from the Environmental Protection Agency. From the moment you place your call to Better Way Services for your water and or mold damage we take care of your property as if it was our own. We show you our portfolio of before and after pictures of homes just like your own that we have successfully restored. We let your read the testimonials from highly satisfied families who have used our services and referred families and friends faced with similar problems. We ease your mind and let you know that you are in good hands with Better Way Services. Remember, just when you thought you were safe from the water and mold damage from the last major storm, another one can come and be even worst than the last one. This one brings inches of water to your basement and all you can do when you see it is shake your head. What do you do? Whether it’s the leaky pipe you’ve just discovered that is causing all kinds of headaches in your life or the hot tub someone forgot was filling that has now overflowed in your sunroom, we’ve got your covered.